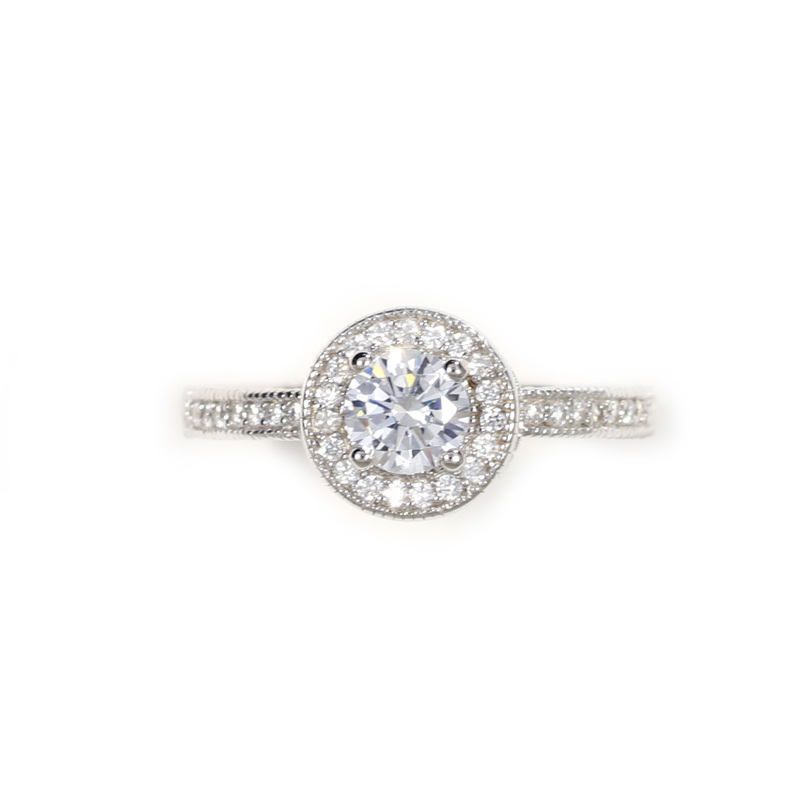 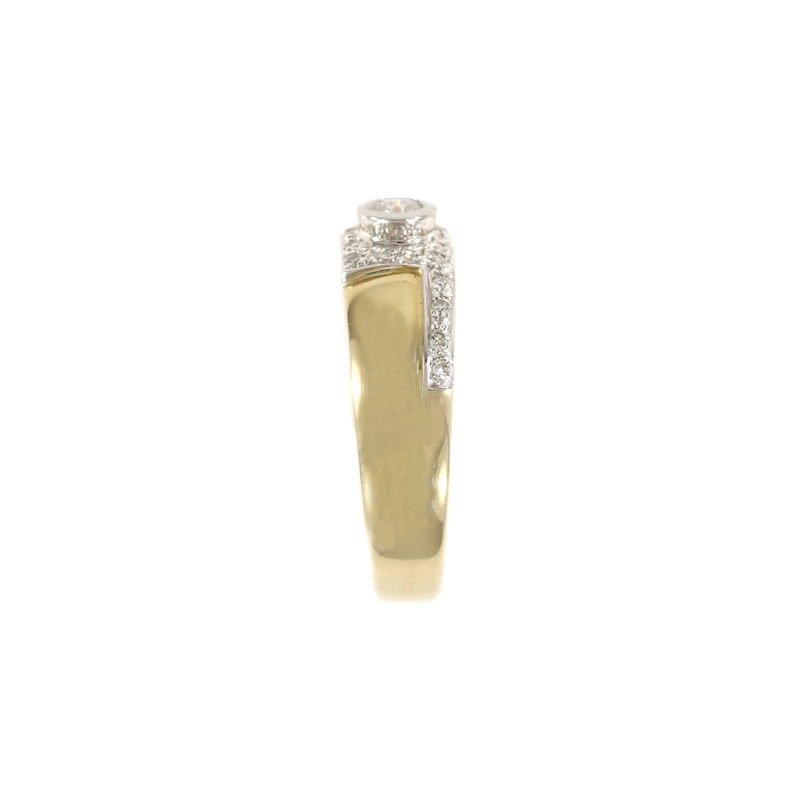 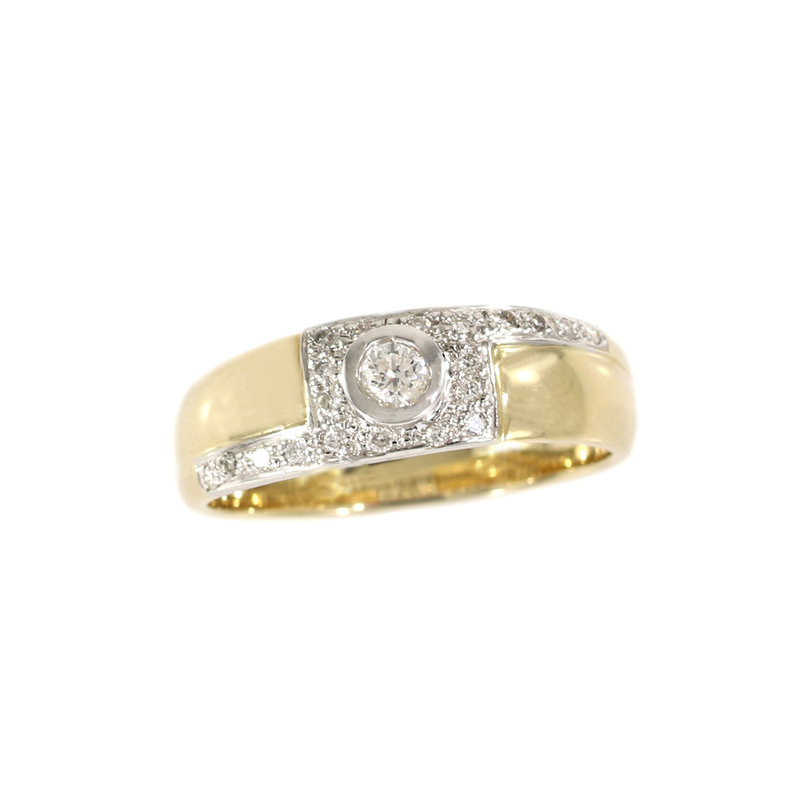 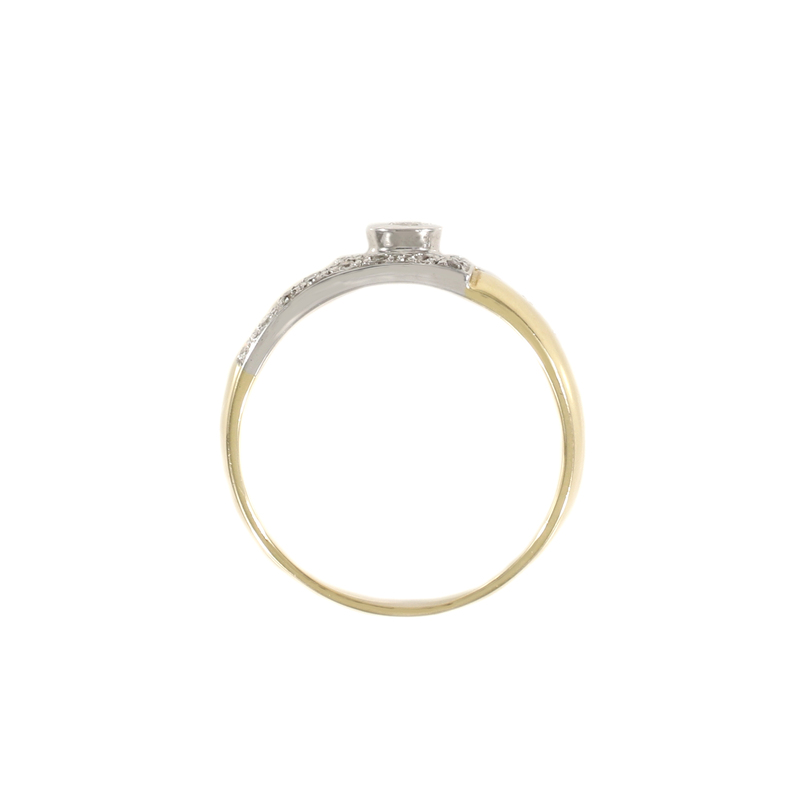 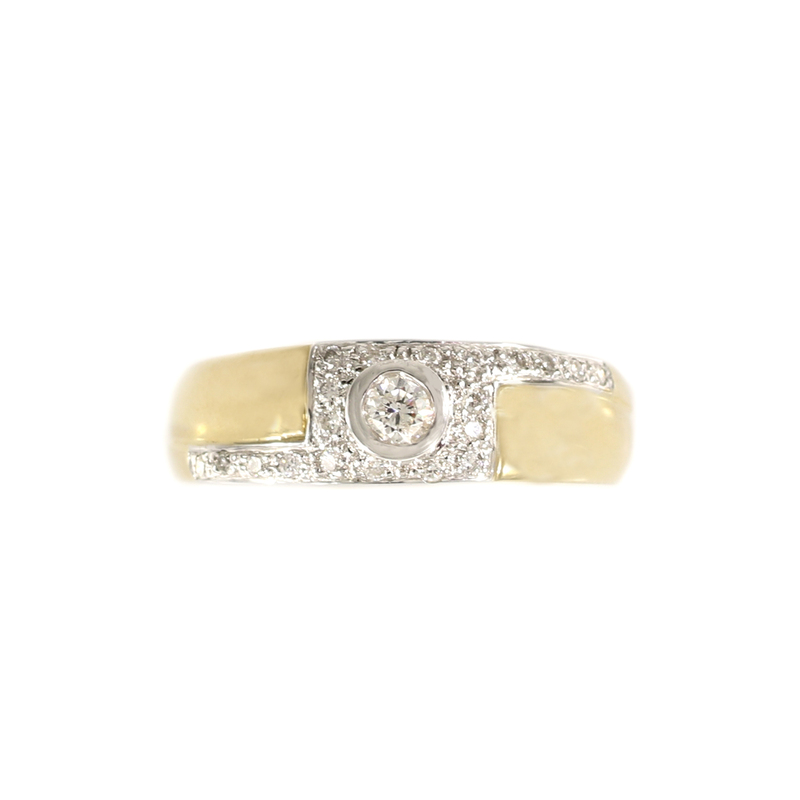 A .13 carat bezeled round brilliant is centered in a 14K yellow gold band with tiny round brilliants pavé set into a pattern that wraps around and down opposite sides. 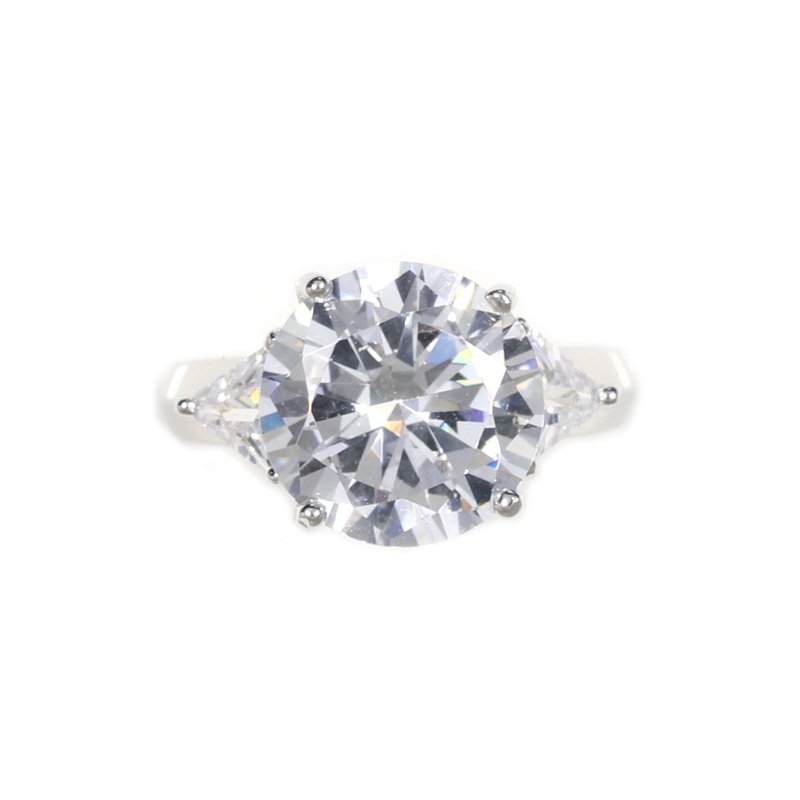 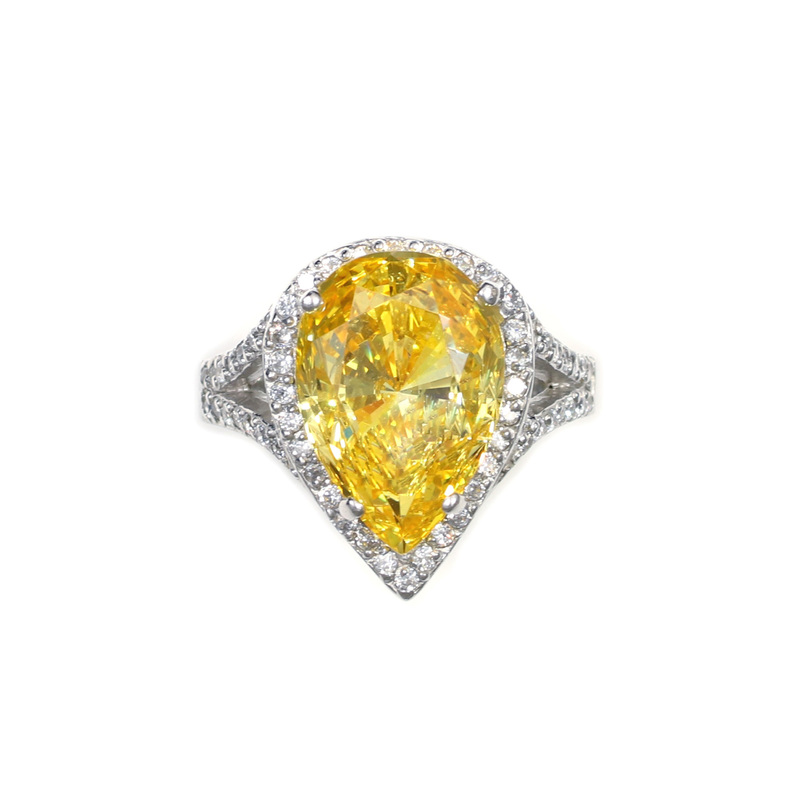 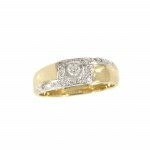 All stones are untreated, natural diamond with GH color and SI clarity. 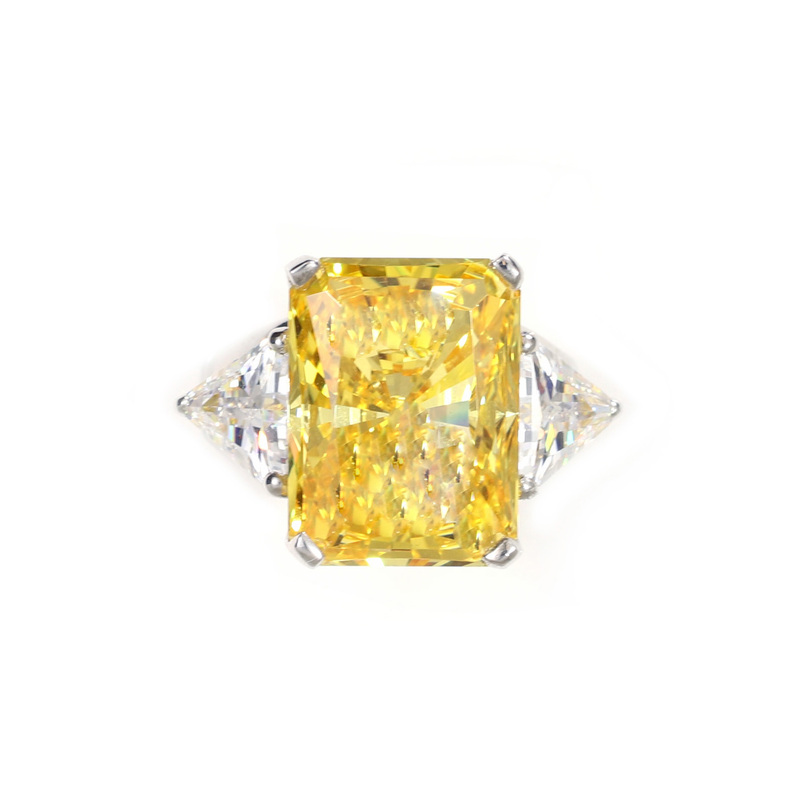 Total weight is .26 carats. 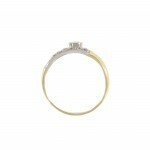 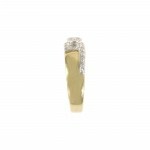 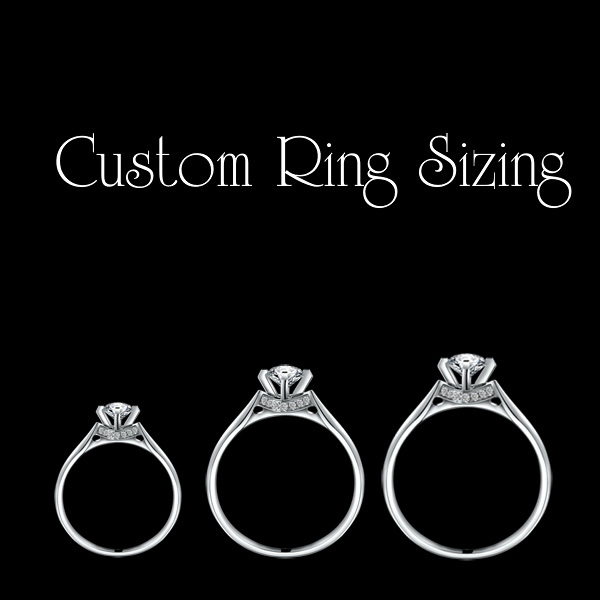 Ring measures 6.4mm and tapers down to 3.4 mm at the base of the shank.